If you’re searching for silver coins for sale, then there are a few things you should know before you ever open your checkbook. Investing in silver can have numerous advantages, but if you’re not careful about where (or how) you make those investments, then it could cost you a significant amount of your money and time. Before you buy any precious metals, you’ll want to consider several factors, including the strategy behind your purchase, who’s selling it, and how it could affect your financial future. 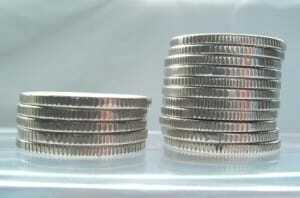 Below are a few of the main considerations you should make as you begin looking for silver coins for sale. Numismatic coins are those minted prior to 1933. Value is determined by several factors including the mint data, rarity, condition of the coin, and its precious metals content. Bullion coins and those minted after 1933. They have no numismatic value. Value is influenced mostly by the precious metals content and weight. While both can be great options for preserving wealth, each one has its own unique features and benefits. Take the time to learn about both to make sure you choose the right coins for your goals. Buying silver can help diversify your portfolio, thereby protecting it from the volatility of other markets. 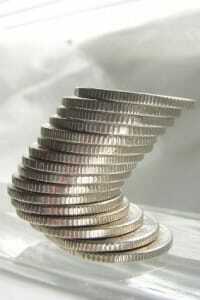 Silver can also help investors hedge against inflation and safeguard their savings from the declining dollar. By investing in silver coins as part of an IRA, you can enjoy the benefits of a retirement account, and the great growth potential of silver, without the risks of putting your retirement savings into stocks. Even if you plan to buy silver coins for physical possession, it’s a decision that helps you invest for your future, in spite of all the uncertainties surrounding the global economy. With so many different considerations to make when buying silver, you’ll want to make sure that you partner with an established precious metals company. These firms have the experience, knowledge and expertise to guide you to the right investments for your situation. They can help answer your questions and walk you through the process of buying silver coins for physical delivery or placement in an IRA. At Birch Gold Group, we offer a wide variety of silver coins, including both numismatic and bullion coins. We also specialize in precious metals IRAs, and we are happy to make strategic recommendations for your portfolio, based on your individual needs and goals. Birch Gold Group is rated A+ by the Better Business Bureau, and we have an extensive track record of helping investors discover the benefits and ease of buying silver. To learn more about your options, simply fill out the form on this page, or call us at (800)355-2116 to speak to one of our knowledgeable specialists on silver coins for sale.